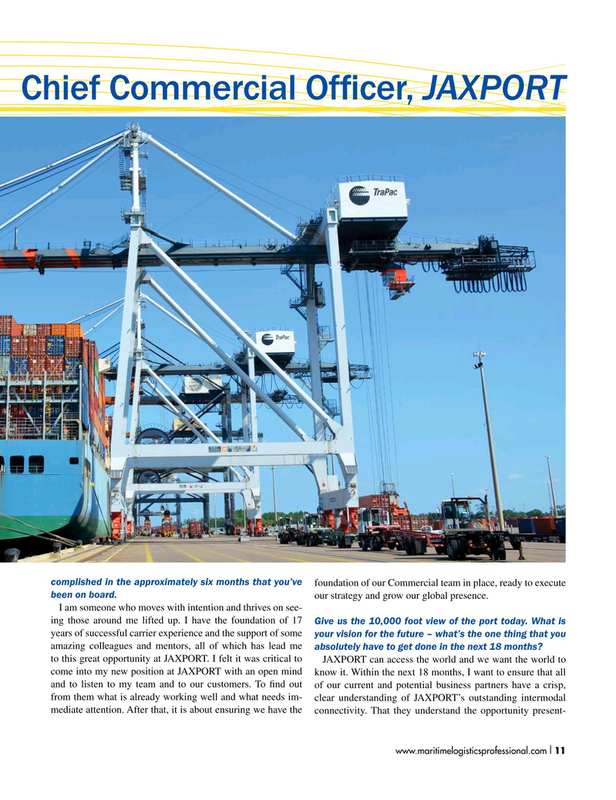 Chief Commercial Offcer, JAXPORT complished in the approximately six months that you’ve foundation of our Commercial team in place, ready to execute been on board. our strategy and grow our global presence. I am someone who moves with intention and thrives on see- ing those around me lifted up. I have the foundation of 17 Give us the 10,000 foot view of the port today. What is years of successful carrier experience and the support of some your vision for the future – what’s the one thing that you amazing colleagues and mentors, all of which has lead me absolutely have to get done in the next 18 months?